Biography: Prof. Dr. Ab Halim Abu Bakar received the B.Sc. degree in Electrical Engineering from the University of Southampton, United Kingdom in 1976, M.Eng. and Ph.D. degrees from the University of Technology, Malaysia in 1996 and 2003 respectively. He spent 30 years of industrial experience with Tenaga Nasional Berhad (TNB) before joining University of Malaya. Prof Ir Dr Halim is a Fellow of the Institute of Engineers Malaysia, Member of IEEE, Cigre, Chartered Engineer (UK) and P.Eng (Malaysia). Currently he is a professor with the UM Power Dedicated Advanced Centre (UMPEDAC), University of Malaya, Malaysia. He is an established academician and a practical engineer. He has to-date published 75 ISI and 139 Scopus papers in journals and 47 papers in proceedings internationally. He has successfully supervised to completion 11 PhD, 3 master by research (M.Eng.Sc), 1 master of philosophy (M.Phil) and 34 Masters by course work project (M.Eng) and has Web of Science H index of 16 and Scopus H index of 18. He is also involved as a reviewer for several Web of Science international journals and several international conferences. Prof Ir Dr Halim won several excellent awards during his professional and academic carrier. In 2008 he won IEEE PES Malaysian Chapter Outstanding Engineering Award. His research interest includes power system protection and power system transients. Biography: Masayuki Morimoto was born in Tokyo, Japan in 1952. He received his BSc, MSc and PhD degree all in electrical engineering from Keio University, Japan in 1975, 1977 and 1990 respectively. He worked at Mitsubishi Heavy Industries, Ltd. from 1977 to 2005. From 2005 to 2018, he was a Professor at the Department of electrical and electronics engineering, Tokai University. His research interests are in the areas of power electronics and its applications, electric machines and drives, and vehicle application. 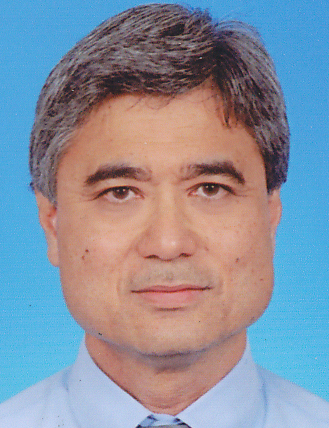 He is a Fellow of IEEJ, member of IEEE and several academic societies. He is the single author of 10 technical books in Japanese and the coauthor/editor of more than 10 technical books in Japanese. Abstract: Electric vehicle is becoming popular all over the world. Many manufacturers supplies various electric vehicles to all over the world. There are a lot of advantages of electric vehicle, they are not only its environmental aspect, but drivability and convenience to daily use. I am sure that the technology of electric vehicle is one of fundamentals for future engineering. However, I am doubtful that the electric vehicle today is the early stage of the final answer of the automobile? In this speech, I will start from history of electric vehicle. The past tells us the possibility of future. Then I will discuss about the technology of electric vehicle today. Driverless vehicle, contactless power supply and energy use of the vehicle. By those discussion, I am sure that the all audience can open their insight of future electric vehicle. Intention of the organizer is to bring together scientists, engineers and manufacturers as well as to doctoral students from all over the world to meet and discuss recent development and their achievements in the area of power and electrical engineering.